Two operating systems can co-exist peacefully in the same environment. Learn tricks to Windows and Linux interoperability, including how to share files between the two platforms. Gone are the days of IT operations running just Unix or another single platform. Linux has become a major player, and both Windows and Linux are the dominant forces in the data center, with many IT operations optimized for Windows and Linux interoperability. The big challenge lies in actually getting these two operating systems to co-exist peacefully. Our digest of advice and how-to tips will point you in the right direction on everything from sharing files between Windows and Linux to successful virtualization interoperability strategies. Be sure to check out our expansive library of devoted content for even more articles on Linux interoperability. Expert Ken Milberg explains guidelines and tools for planning and maintaining a mixed-server environment. In the IT world, no one runs an all-one-thing shop. There are several options in using open source in a Windows environment. Keep up-to-date on mixing Linux with Windows and Unix with this guide. Centeris CEO Barry Crist explains effective cross-platform management in this Q&A. Red Hat and Microsoft forged a virtualization interoperability partnership after years of arguing over patent agreements. Novell’s SUSE Linux Enterprise can now run as an “enlightened” guest on Microsoft Hyper-V.
Microsoft and Novell’s interoperability partnership provides the most value through virtualization, server management and development. Interoperability and financial factors were two key factors in the partnership between Novell and Microsoft. Learn how to install Samba and set up CIFS on Linux to share files between Linux and Windows. In this tip, see how Kerberos authentication works in RHEL for simple Windows-Linux integration. The recently released Ubuntu 10.10 for desktops features Windows file integration via the cloud and an application portal. If you’re using Active Directory in a heterogeneous data center environment, you should first be aware of the security risks this functionality poses. In this tip, PC users can learn interoperability tricks in working with MS Office and OpenOffice. 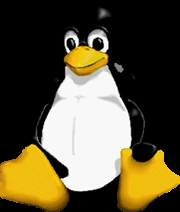 Microsoft announced that its Windows HPC Server 2008 R2 Beta 2 is compatible with Linux. In this tip, learn the two main approaches to Linux-Windows interoperability: dual booting and virtualization. Even if you have limited OS capabilities, you can still run Linux inside Windows with coLinux. In this tip, learn how to connect a Windows machine to a shared printer as a network device from your Linux machine. A Citrix setup for running Windows and Linux can be expensive. Learn how to run Windows as a virtual machine on Linux with VMware Server. Most Hyper-V shops run only Windows operating systems, but with the Hyper-V Linux Integration Components that allow RHEL systems to run as Microsoft Hyper-V guests, that is changing. Expert response: How do I partition a hard drive to run Windows and Linux? An expert response discusses how to deal with issues that may arise when partitioning a hard drive to run Windows and Linux. See how to manipulate VMware configuration files for a Windows host environment to use Linux in a virtual arena for validation testing.